Come along and follow them! 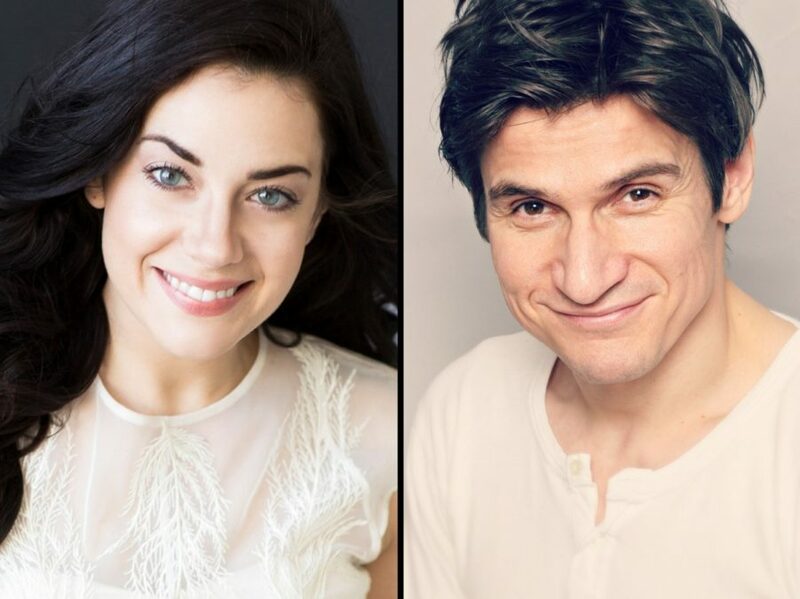 Award-winning opera stars Meghan Picerno and Garðar Thór Cortes will lead the North American tour of Andrew Lloyd Webber's Love Never Dies, The Phantom Returns as Christine Daaé and The Phantom, respectively. The touring production—a sequel to Lloyd Webber's blockbuster musical The Phantom of the Opera—will begin with a special preview engagement at Baltimore's Hippodrome Theatre on October 3, before making its way to cities all across the country. In addition to Picerno and Cortes, the cast of Love Never Dies will feature Karen Mason as Madame Giry, Sean Thompson as Raoul, Mary Michael Patterson as Meg Giry, and Casey Lyons and Jake Miller sharing the role of Gustave. The trio of The Phantom’s henchmen include Katrina Kemp as Fleck, Richard Koons as Squelch and Stephen Petrovich as Gangle. The ensemble includes Chelsey Arce, Erin Chupinsky, Diana DiMarzio, Tyler Donahue, Yesy Garcia, Alyssa Giannetti, Michael Gillis, Tamar Greene, Natalia Lepore Hagan, Lauren Lucacek, Alyssa McAnany, Rachel Ann Moore, Bronson Norris Murphy, Dave Schoonover, Adam Soniak, Kelly Swint, Lucas John Thompson, Correy West, Arthur Wise and Borris York. Directed by Simon Phillips, Love Never Dies takes place in 1907 and picks up 10 years after the Phantom's disappearance from the Paris Opera House. He has escaped to a new life in New York where he lives amongst the screaming joy rides and freak-shows of Coney Island. In this new electrically-charged world, he has finally found a place for his music to soar. All that is missing is his love—Christine Daaé. Now one of the world’s finest sopranos, Christine is struggling in an ailing marriage to Raoul. So, it is with excitement she accepts an invitation to travel to New York and perform at a renowned opera house. In a final bid to win back her love, the Phantom lures Christine, her husband, and their young son Gustave from Manhattan; to the glittering and glorious world of Coney Island…not knowing what is in store for them. Love Never Dies features music by Lloyd Webber, lyrics by Glenn Slater, a book by Lloyd Webber, Slater, Ben Elton and Frederick Forsyth, and additional lyrics by Charles Hart. The unforgettable score includes such songs as "Beneath a Moonless Sky," "Why Does She Love Me?," "'Til I Hear You Sing," "The Beauty Underneath," "Once Upon Another Time" and "Look with Your Heart." The new touring production will reflect an extensive re-working of the material by an Australian creative team for the original Australian premiere in 2011. Since its premiere in 2010, Love Never Dies has enjoyed productions worldwide in London, Australia, Denmark, Japan and Germany. The North American tour brings the musical to the U.S. for the first time. To find out when Love Never Dies, The Phantom Returns is headed to your city, click here.